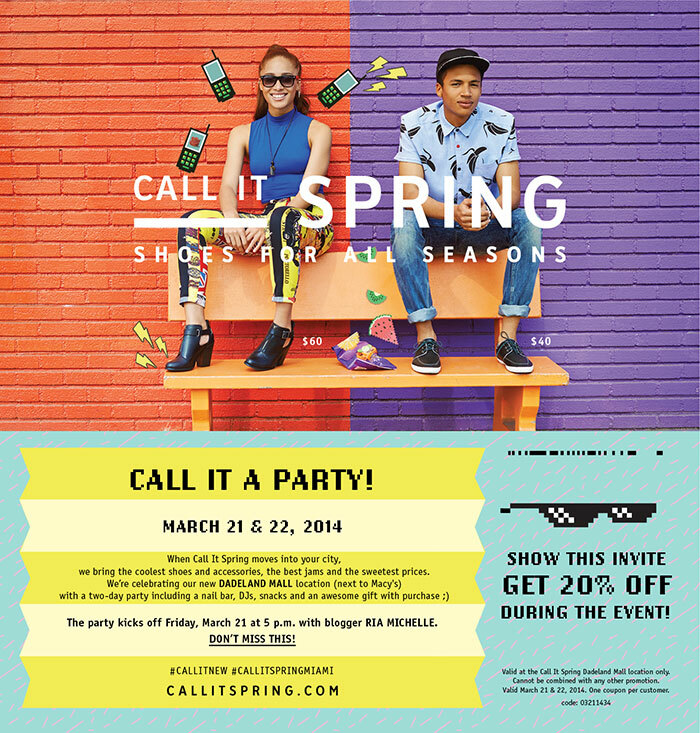 So I’m hosting a shindig for Call It Spring to celebrate the opening of their new store at the Dadeland Mall. They have a nice selection of affordable shoes and accessories. I’ve seen the location for the store and I can’t wait to see what it looks like on Friday when it opens as Dadeland as some pretty storefronts. If you show this invite you’ll get 20% off during the event. So if you’re free on Friday March 21st and you live in Miami, come hang out with meeeee! I know I can’t WAIT to hit the nail bar. I chose to style a pair of creepers, they’re one of my favorite styles of flats. You can wear them casually, you can wear them dressed up. It’s a style that works with things you’d never really guess. I kept my look pretty casual as I was working and running errands and wanted to be comfortable. 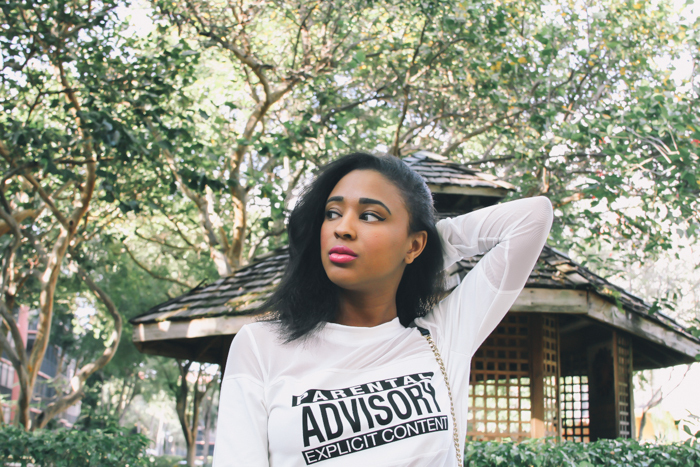 Love this mesh Parental Advisory top. I’m not sure if I can bring myself to drop the $995 for the original Alexander Wang style because it’s very much a trendy, statement piece I don’t see myself wearing often. For now this inspired style for a fraction of the price will do me just fine.